Congratulations! You just found the one firm that can convert your data from dbCAMS+. You are going to love how easily we move your data from dbCAMS+ onto FinFolio. Were you getting worried that nobody could convert your dbCAMS+® data? Your search is over--you've just found the only firm in the industry that can handle it. Get ready to move into the 21st century with a client portal, integrated rebalancer, point-to-point returns, and powerful report writer. dbCAMS+® was written in FoxPro® which was discontinued by Microsoft years ago. Good thing for you that one of our founders used to work at dbCAMS+® and was a FoxPro® developer. 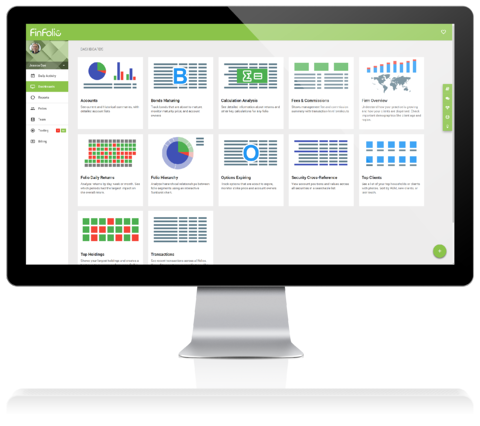 FinFolio is the only company in the industry that can convert your data directly into their system. Part of switching systems is adapting your processes to a new software. But we have you covered here too. Our founder's dbCAMS+® heritage means that FinFolio's architecture is very close to what you are used to. Enjoy the new reports and tools, while at the core our software design will be familiar and comfortable. Contact your custodians so FinFolio can begin receiving your data. Additional custodian data since the backup date. Work with your onboarding manager to learn the software, configure trading and billing, and recreate any custom reports. Run FinFolio in parallel with dbCAMS+® until you are comfortable.